Come join us and learn to cook dishes from our regional cuisine the true Italian way, with recipes that have been passed from generation to generation, our classes are fun and informal. Whether you are a beginner or a seasoned chef, we will let you into some of our secrets of our traditional, authentic recipes and the techniques we have learnt over centuries. 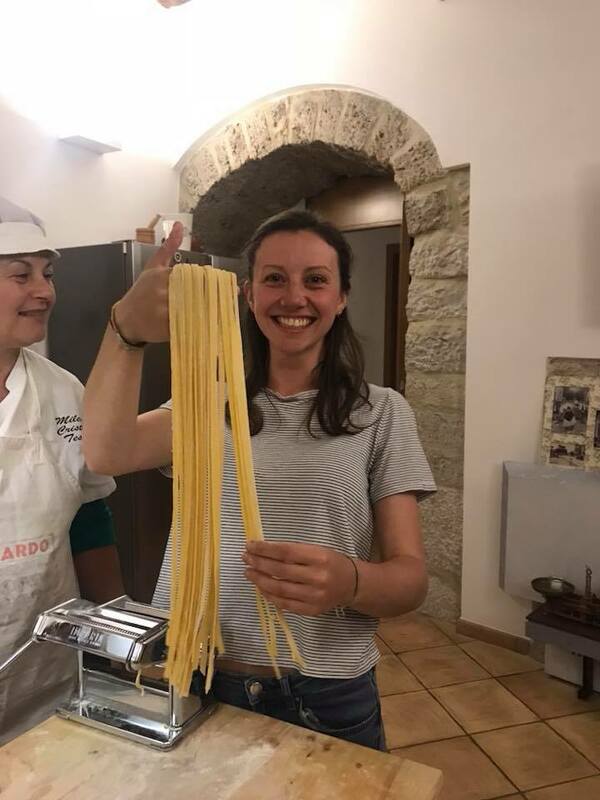 We offer three types of cooking classes with our experienced specialised chefs: learn to cook fresh pasta and sauces with Pasta Chef Milly, mouthwatering pizzas with Pizza Chef Giuseppe or a specialist class with our Head Chef Leonardo. Giuseppe Marcuccilli is an Award Winning International master baker and pizza maker. Trained by master bread makers Franco Pepe and Patrick Ricci at Salone de Gusto, Turin he obtained a deeper understanding in the Italian craft of baking. At Palazzo Tronconi he hosts popular lively, weekly courses for baking typical, authentic Italian bread, pizzas and focaccia, from the simplest to the more complex. Italian cuisine is noted for it's regional abundance of diversity and difference in taste and is one of the most popular in the world. There is a simplicity to our cuisine, It is not about complicated preparation of the dishes it is the quality of the few ingredients that we use. Ingredients that are pure, seasonal, locally produced and preferably organic and sustainable. The recipes we have chosen are traditional but with a modern twist.. Step by step, we will show you how.